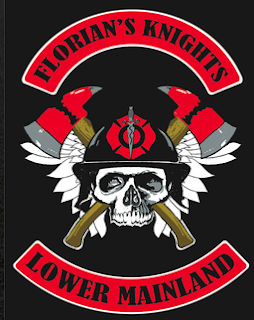 New Westminster's top firefighter Tim Armstrong said his department is investigating the conduct of two New West firefighters who joined the Florian’s Knights. 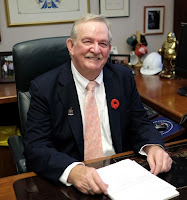 Armstrong said; “We are doing our own investigation and, from what I understand, the RCMP are investigating this group as well.” Burnaby Mayor Derek Corrigan said he doesn’t understand why the Florian’s Knights would hang around with Hells Angels. 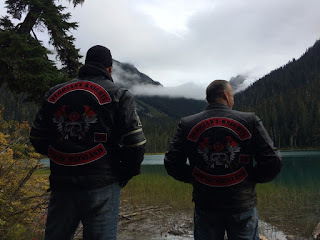 Three Hells Angels chapters are in court with the B.C. government over long running allegations theirs is a criminal organization and should forfeit three clubhouses. The civil trial adjourned until the fall. 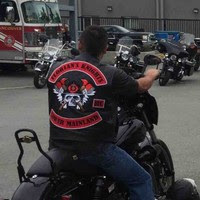 Burnaby has launched a formal investigation into the 'firefighter' biker's club "Florian's Knights". 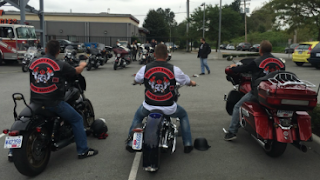 The City started a formal investigation into a local firefighters motorcycle club linked to the Hells Angels after many complaints from the public. 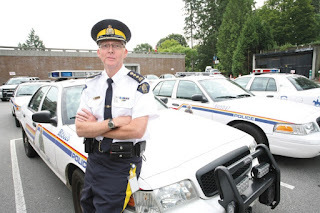 It comes specifically after a number of complaints by cops in the Province, including the Organized Crime Unit who have been monitoring the group. 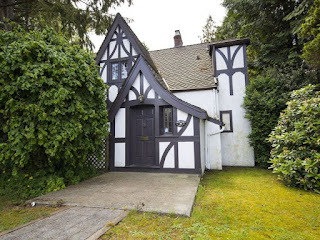 This house in the 5400-block Parker Street in Burnaby was purchased for $1.65 million to serve as the clubhouse for the Florian's Knights. 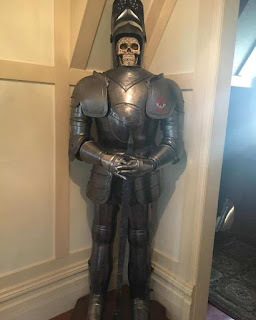 A suit of armour sits inside the clubhouse. 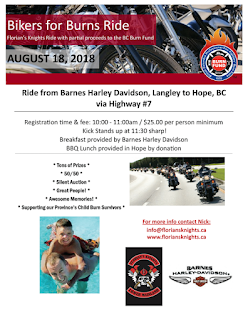 Latest from Mr. Nick Elmes is the solicitation of money from the public for 'sponsorship' of 'Bikers for Burns'. Great, awesome, and super duper. Question. HOW MUCH (precisely) in proceeds goes to charity and how much gets kicked up to the big club? The Florian Knights have recently opened a new clubhouse in North Burnaby. Nick Elmes and another member bought the house in the 5400-block Parker Street in January for $1.65 million. Elmes owns a second residence in North Burnaby a few blocks away from the new clubhouse, assessed this year for $1.76 million. A good question is how a public servant making $ 80k per year can afford such things. "Florian Knights are dedicated to support and help our brothers, active or retired, with mental health issues." 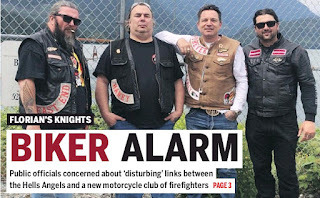 A motorcycle gang composed of firefighters is associating with Hells Angels who may be making their job even more dangerous. 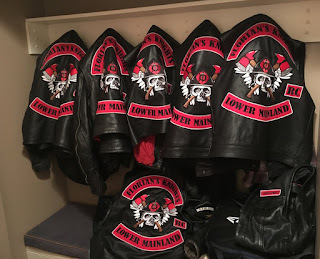 The Florian's Knights are wearing a three-piece patch on the backs of their leather vests, meaning they had to seek permission from the Hells Angels. Nick Elmes, who said he is a founding member of the Knights, said that the club formed to raise money for charity and that no one should be concerned. 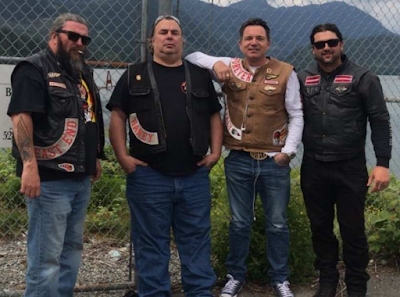 Nick Elmes, right, with members of the Hells Angels including Damiano Dipopolo. 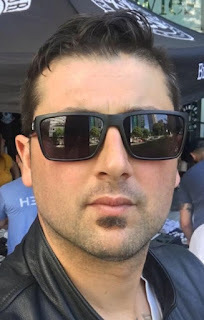 He admitted the Knights have been at events with Hells Angels but said those events were open to anyone to attend. That is apparently a lie. This episode beggars disbelief and the reasons are many. 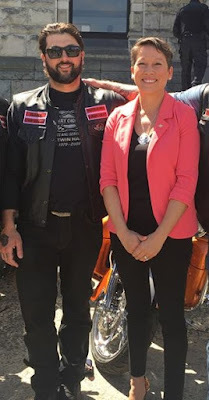 As far as I can tell this biker group has donated a much trumpeted grand total of $500 to charity, yet can swing $ 3.2m in residential real estate on a public servant income while, at the same time, constantly solicit the public for donations. Further, it is PREPOSTEROUS that a public type could ever invite themselves to a HA function. 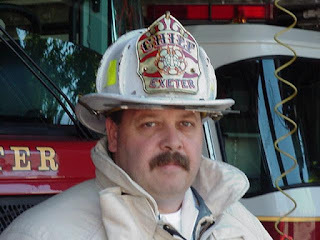 Mr. Elmes is not being fully truthful and it's very, very obvious.